the current situation, followed by a coherent vision of the future and an understanding of the transition to bridge the gap. Whilst strategy is all about improvement and setting the direction for the organisation, equally important is the alignment, making sure everybody understands the strategy and that everything they do contributes to the success of achieving the organisational goals. 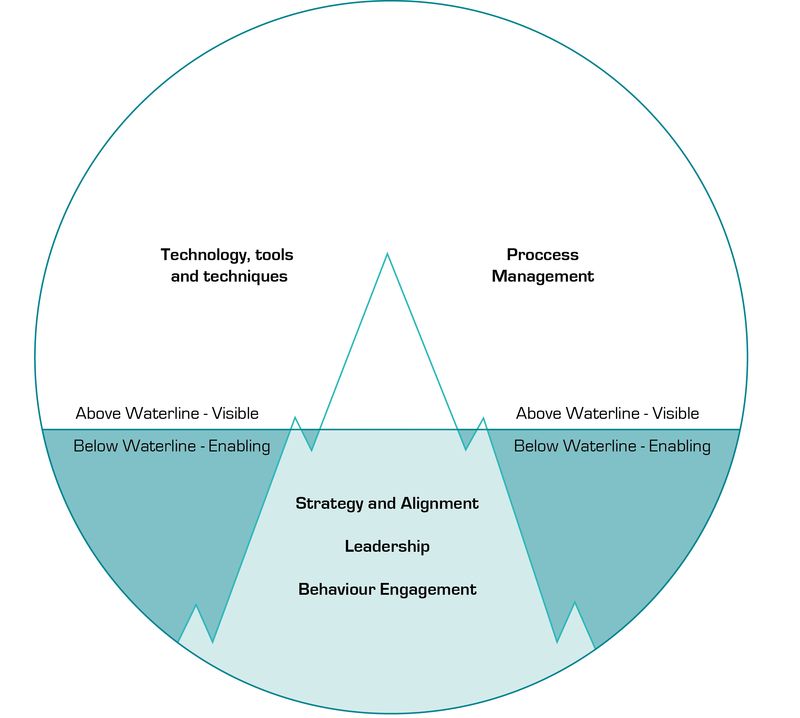 Success often demands a culture change with emphasis on policy deployment, whilst also maintaining focus on key priorities to ensure they don’t get lost as you cascade to subsequent levels in the organisation. It is essential to harness emotions positively, reducing the inevitable “fear” factor of change, understanding head and heart; moving from plaster to plasticity. Identification and harnessing of individual strengths will also improve motivation, employee retention, improve quality and company performance through productive team interaction. However, strong focused teams pro-actively seek opportunities to be more productive and will need the support from efficient management systems, clear goals, targets and recognition to maintain continuous improvement momentum. 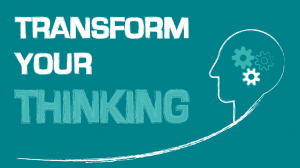 Establish a change in company culture as a way of life – sustainable continuous improvement. 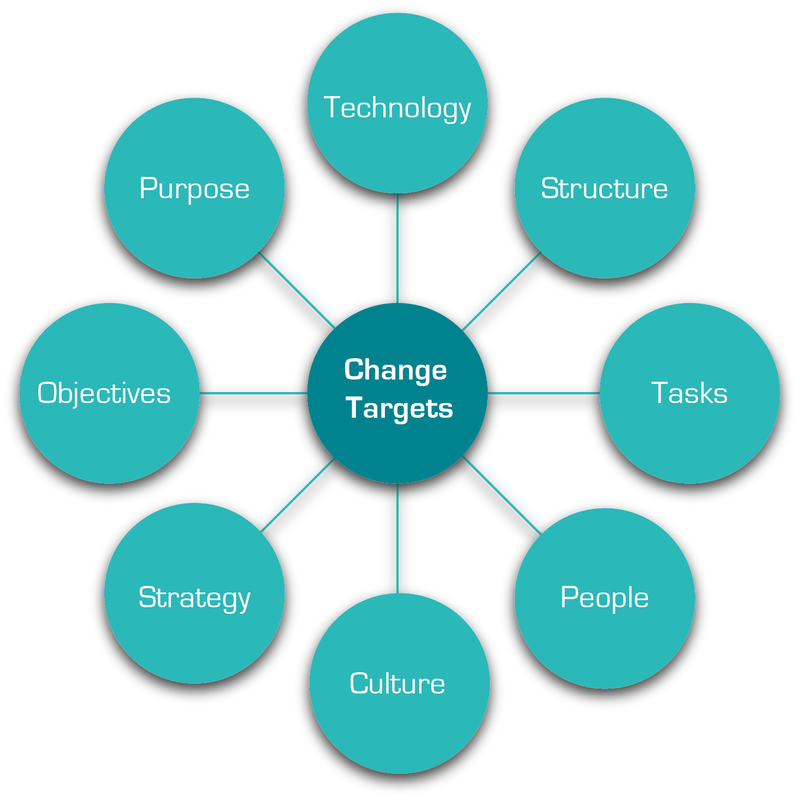 The transformation change wheel highlights the inter-relationship of the key business driver change targets. 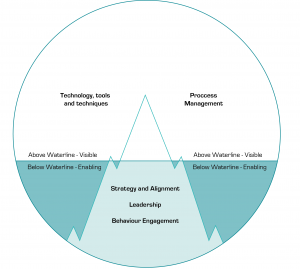 The sustainable Lean Iceberg model highlights the importance of the often neglected people related enablers in delivering the more visible technology, tools, techniques and process changes.